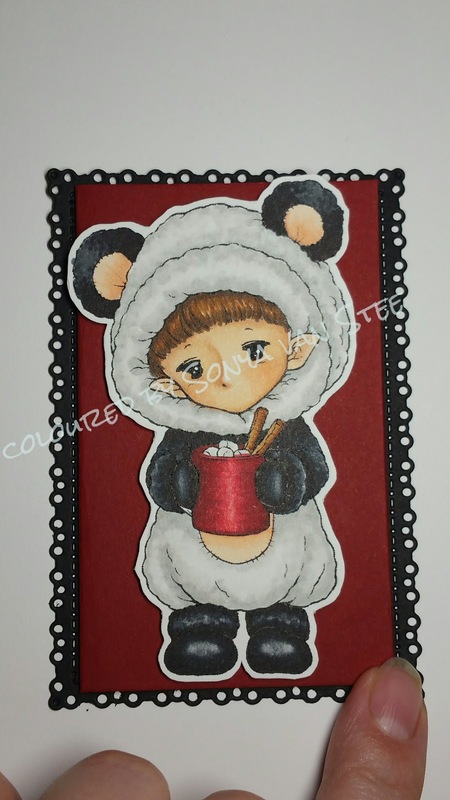 Mitzi from Aurora Wings draws these ADORABLE sprites for any and all occasions, and this little cutie is from this year's Holiday Ensemble and is called Hot Cocoa Sprite. I really wanted to try making him look like a panda, so I got out my blacks and grays and this is what I came up with. I just LOVE this little guy in his bear suit! 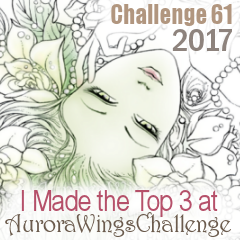 This month, Aurora Wing's Challenge is "Anything BUT a Card", so I made a cute little gift card holder. 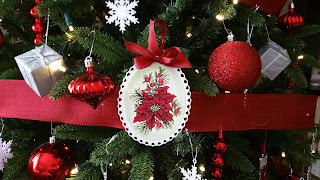 The instructions for making the holder came from Power Poppy's 12 Days of Christmas Challenge. 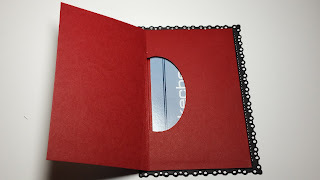 The actual instructions I used can be found on this post, which is Day 2 of the challenge. It turned out SO CUTE! 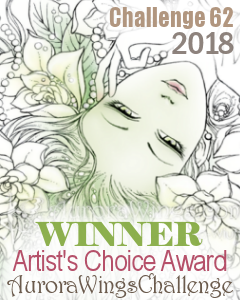 Thanks AW and PP for the image and the idea! I just love Power Poppy's gorgeous stamps, and they are having a Christmas Challenge over on their Christmas Blog! 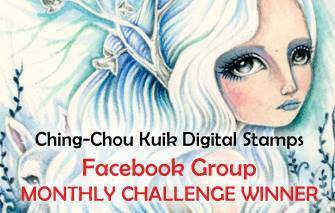 Come play along for the chance to win! I'm also entering into Kraftin' Kimmie's Wednesday Challenge. 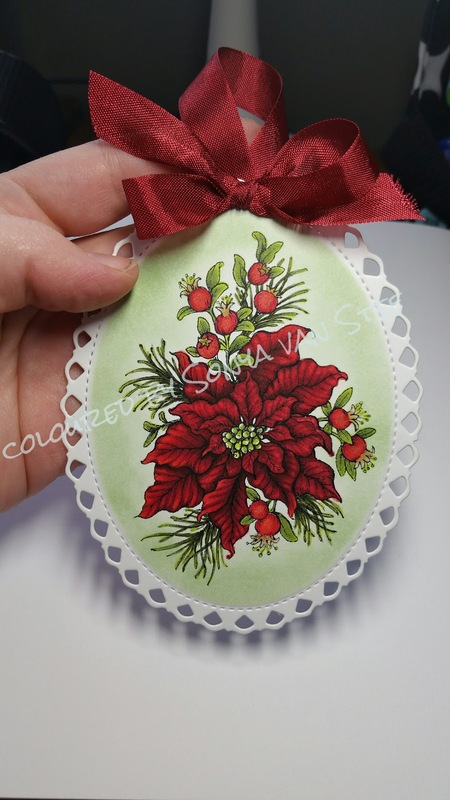 For my Tag / Christmas Tree Ornament, I used the beautiful digital stamp set called Merriest Berries, which can be found HERE. 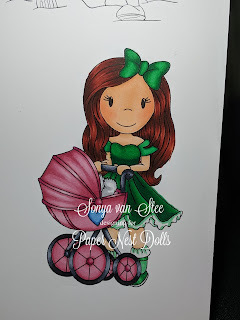 I used a combination of Copic and Spectrum Noir markers to colour in the image, then I used a die from my stash and sponged the middle with Stampin' Up! ink called Pistachio Pudding. 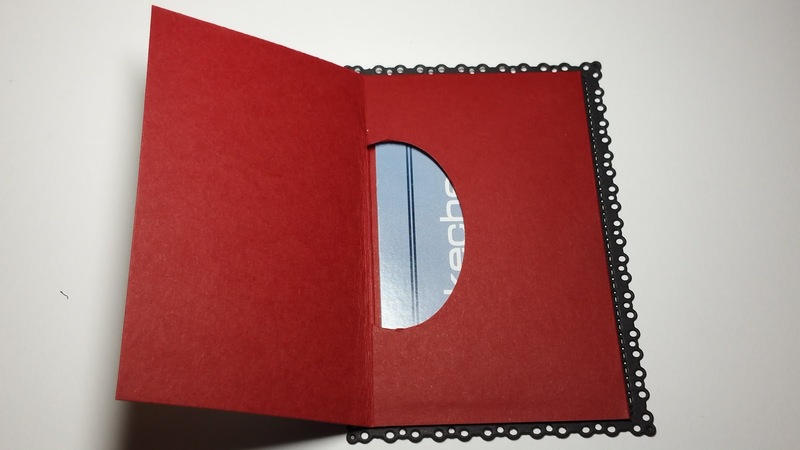 The ribbon is also from Stampin' Up! I was originally making it as a tag, but it looks so pretty on my tree, don't you think? 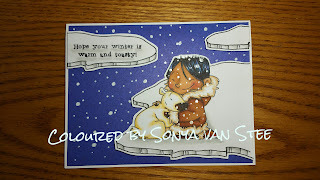 These cuties are from Kraftin' Kimmie Stamp set Eskimo Pals. Aren't they so cute, hugging it out on an ice float? 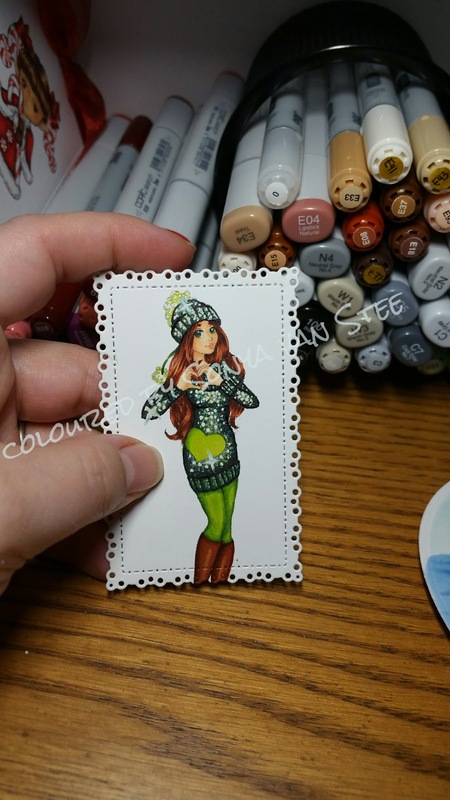 The image is coloured with a combination of Copic and Spectrum Noir markers. The sentiment is from the same stamp set, and the ice floats are just hand-drawn in with a Staedtler fine-tip Pigment Liner and shaded with markers. 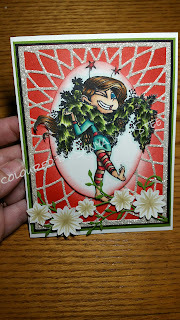 If you'd like to join in the fun, the theme for this week's Challenge over at the Kraftin Kimmie Blog is "critters" !!! 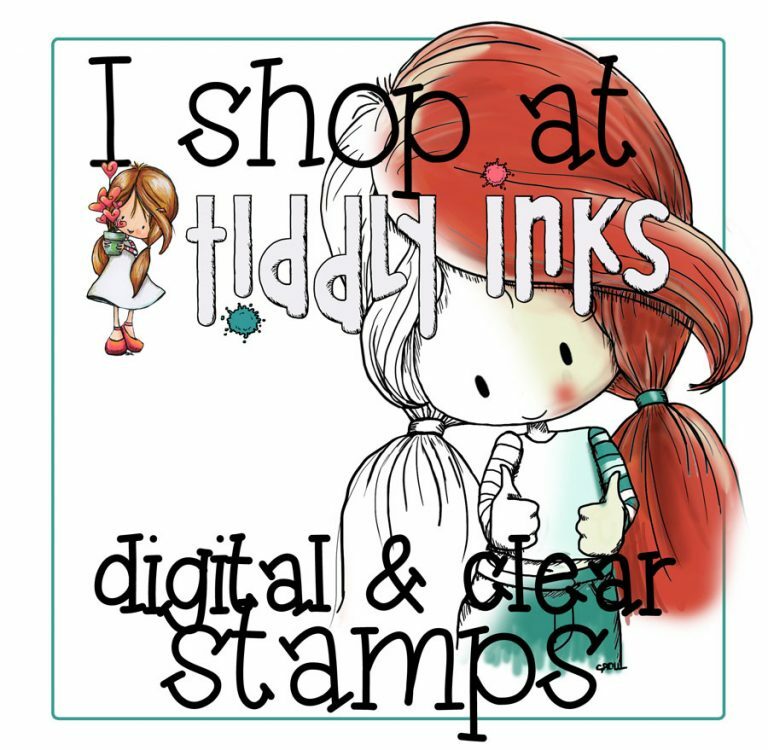 Use any Kimmie stamp with a critter on it. Simple, right? Join us! This adorable little sprite is by artist Mitzi-Sato-Wiuff and can be found HERE. 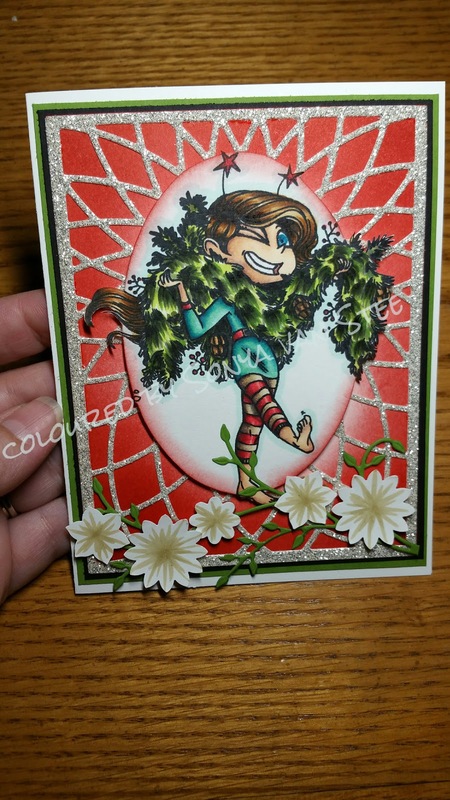 This card is being entered in Aurora Wings blog Challenge HERE. 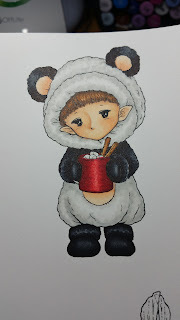 I printed it off (it's a digital stamp) on Xpress It white card stock and coloured it with a combination of Copic and Spectrum Noir markers. 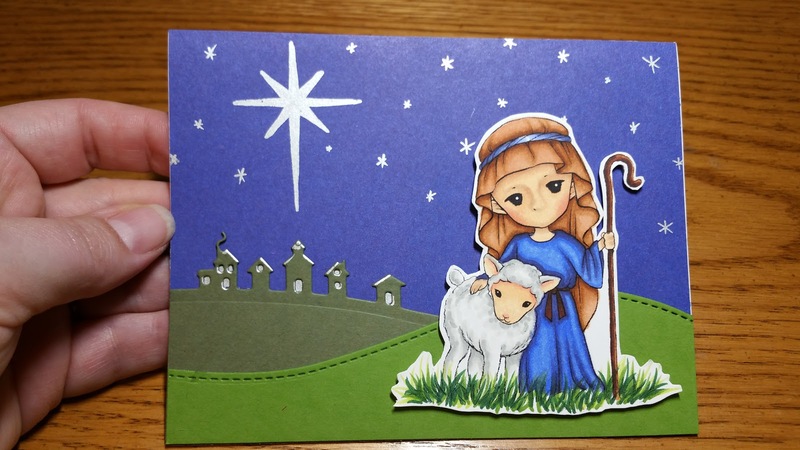 A bit of fussy-cutting and pop-dots later, I ended up with this little Bethlehem scene. Stars are created with a silver metallic pen, the back hill/town is a die from Stampin' Up!, and the front hill is an unbranded die that I have in my stash. So, I've been informed that I should have a blog! 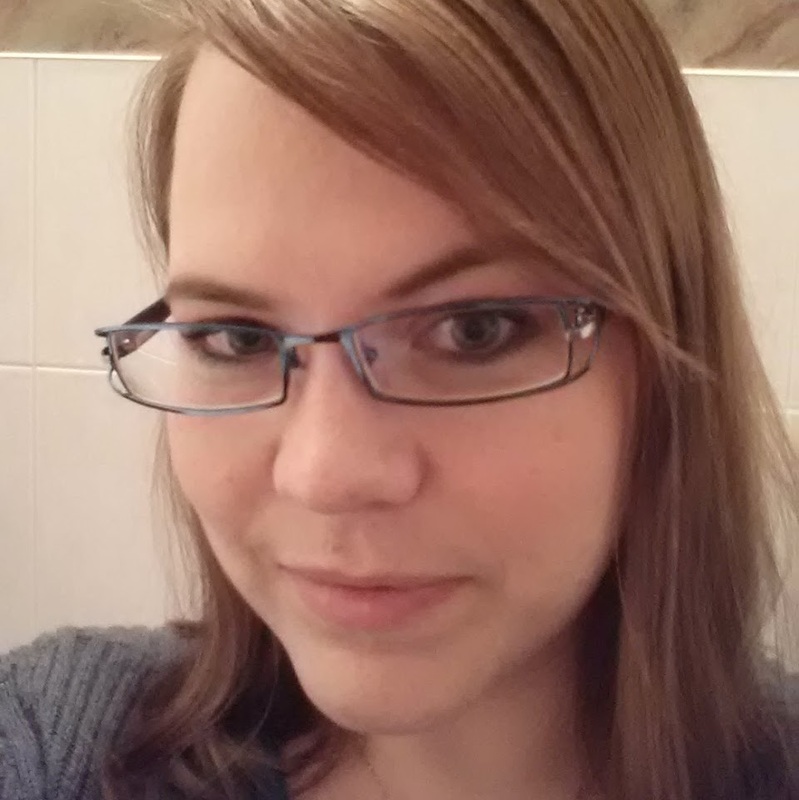 It's been quite a while since I blogged, so I thought I'd give it another go! 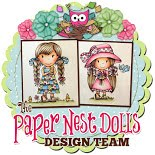 Welcome to Cheery's Craft Haven!